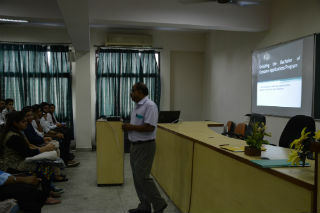 A brief session on exploring opportunities and new frontiers for BCA students was conducted under the title "Unfolding the Bachelor of Computer Applications Program" on 22th Aug, 2016 by Sanjive Saxena, Associate Professor in the campus. 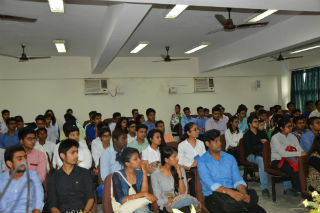 The program was designed to address the issues of the BCA students regarding the placement. 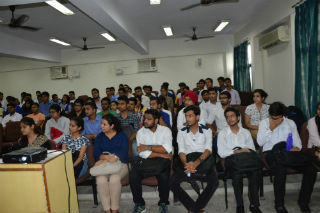 The main focus of the program was to make them aware of the requirements of the Industry and the key areas wherein students were required to put in more efforts. 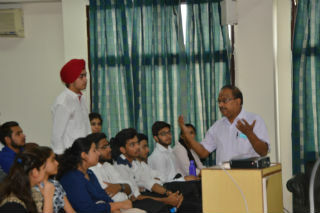 The program was highly appreciated by the students as many of their queries such as developing logic and the various personality attributes which were highly sought after by the companies during their selection process at the campus.